Local Sea Containers is a shipping container manufacturer with branches all over Australia. 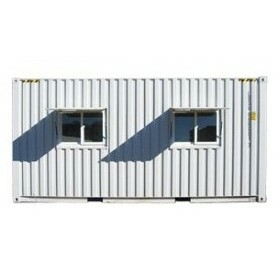 We also offer shipping container modification and even rent them out. We offer you high-quality sea containers at fair prices. At Local Sea Containers, we manufacture all types and dimensions of shipping containers. We also transport them to your location on time at low costs. With just a bit of modification, our experts give you shipping container sales that can be right for all your requirements. Contact the team today at Local Sea Containers.